If you’re looking for a unique traveling experience, it would definitely be taking wine tours in San Francisco and Napa Valley. The region has something for every vacationer who craves diversity in their travels. Beyond the famous Golden Gate Bridge across the San Francisco Bay, is the lush wine-growing region where millions of grapes are made into wines that have gained acclaim from many parts of the world. Apart from the world-famous wines, tourism is also a major source of income for the Napa Valley. Every year, over three million visitors travel to San Francisco and the Napa Valley, bringing in $1.5 million in revenue. Wine tours in San Francisco and Napa Valley have indeed been a steady business! There are many things to do in San Francisco and particularly Napa Valley. The small region has lots to offer — truly beautiful scenery, the best wine and food, and so much more. The first thing you look for when doing wine tours is visiting wineries. Note that the there are over 400 wineries in Napa Valley; if you include nearby Sonoma, that number would have been doubled. So, you’ll want to consider your choices carefully. Apart from visiting wineries, taking a hot air balloon is also a great way to enjoy wine tours in San Francisco and Napa Valley. Enjoy the stunning views of the Napa Valley scenery as the elevation literally takes your breath away. The neat rows of grapevines make up the whole quilt-like landscape of the valley. Everything you see is picture perfect and so do not miss taking photographs as your own souvenirs! Balloons Above the Valley (BATV) is one of the first to provide hot air balloon flights in the region. While our sunrise hot air balloon packages are affordable, they don’t sacrifice comfort or luxury that you crave in your hot air balloon journey. Our San Francisco Balloon and Wine Tour Package is one of BATV’s most popular packages. You will be able to indulge in some luxuries such as going on a wine tour in a limo bus, where you can enjoy an onboard Continental breakfast with a mimosa. Visits to wineries in Napa and Sonoma, olive oil tasting and delightful picnic lunches, and of course the sunrise hot air balloon flight will be some of the highlights of this two-day package designed for two persons. You will also have the option for last-minute shopping that follows the post-flight brunch. The Sunrise Balloon Flight and Champagne Brunch is another package from BATV that you may want to try. Begin the day with an aromatic and delicious pre-flight breakfast that will definitely awaken your senses. Then take part in the hot air balloon ride, and afterwards celebrate the successful flight with other guests with a champagne brunch. After your hot air balloon adventure, you will have the option to take the Napa Valley wine tours right away, or do them on the next day. This package also allows you to visit four to six premium wineries. Remember that wineries change daily in this package so expect that you may visit entirely different wineries the next time you visit and enjoy another balloon flight. You will have the rare chance to sample wines from small boutique wineries, and discover the process of winemaking from grapes to glass as you go around wineries and vineyards in the comfort of limos and limo buses. Balloons Above the Valley has over 30 years of experience in hot air balloon flights, and our award-winning service puts our clients at ease. 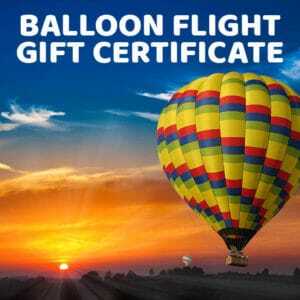 This frees them to really enjoy their time on the hot air balloon flight as well as the other perks that we offer. Enjoy having wine tours in San Francisco and Napa Valley — whether up in the air on the ground — when you choose BATV!